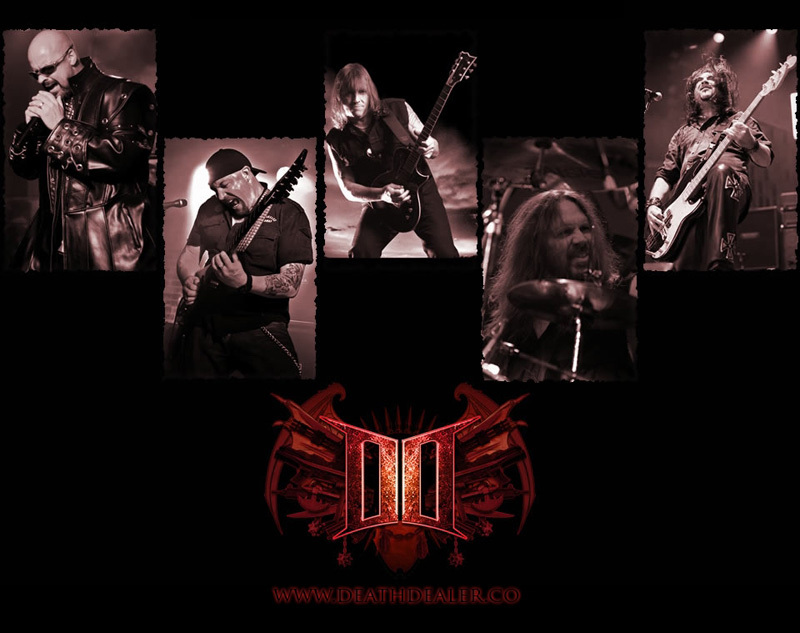 Promising not to be a one-off project is Death Dealer a 'virtual' heavy metal super group. The line up includes Sean Peck (Cage) on vocals, Stu Marshall (Dungeon, Empires of Eden) and Ross the Boss (Manowar, Ross the Boss, New Metal Leader) on the guitars, Mike Davis (Halford, Lizzy Borden) on bass and Rhino (Manowar, Holy Hell, Angels of Babylon) on drums. The band is 'virtual' because it does not exist in any one physical location, since the members are international and collaborated via the Internet. Needless to say, any discerning traditional metal fan should have more great expectations, and less reservations about this project. First, expect some solid, even more bombastic than usual, traditional heavy and power metal with stinging guitar solos, a blistering rhythm section, and Peck's irrepressible and indefatigable vocals. Second, and conversely, thanks to Peck's vocal style, you might wonder if this merely another Cage album. Listening to Hammer Down, Heads Spikes Walls, Warmaster, or Death Dealer, with Peck reaching for the top of his register and then going over the cliff, War Master begins to sound like a Cage album. Then again, there's never anything subtle about the Peck/Cage approach to heavy metal. It's an acquired taste, one that should be taken in small bites lest you brain, eyes and ears melt from the pummeling. Alternatively, when Peck musters some degree of moderation or variation, it changes the character of the song significantly as on Children of Flames or the Devil's Mile. For certain Death Dealer does not sound like an Empires of Eden (excepting the songs where Peck is singing) or recent Ross the Boss album. The small bite approach might apply to War Master as well. Directly, then, Death Dealer is basically a full frontal, tactical, assault on the heavy metal genre and it's loyal fans, aiming for either decimation or submission. You've been warned. Recommended. 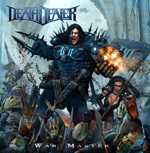 Death Dealer's War Master is basically a full frontal, tactical, assault on the heavy metal genre and it's loyal fans, aiming for either decimation or submission. You've been warned.